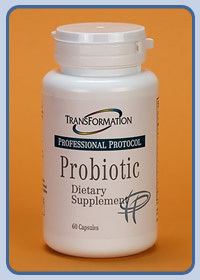 TPP Probiotic is a formulation of a carefully mixed selection of microorganisms friendly to the human GI tract. These organisms enhance the ecological balance of friendly bacteria. All Transformation formulas are carefully prepared to assure maximum quality and nutritional effectiveness.